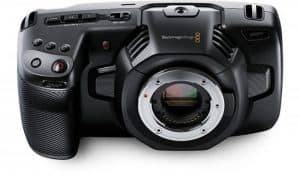 The Blackmagic Micro Studio Camera 4K is, as its name suggests, built for use in a studio environment or a broadcast setting. It does not come with a screen which already makes it an inconvenient device for those who want to use it outside of a studio setting. 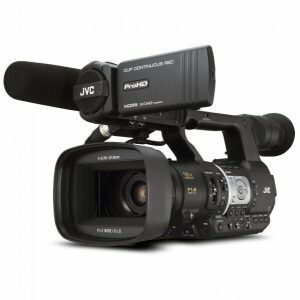 The camera, however, covers the basics of what’s needed from a broadcast camera: SDI, remote controls, and tally lighting – just to name a few. The Micro Studio Camera also comes with an adaptable MFT lens mount which allows different compatible lenses to be used depending on the need. Quite small in size, the Micro Studio Camera allows more flexibility in the studio. The camera can be placed in different angles – even overhead – in order to produce a really interesting program. It’s clear that this camera isn’t for everyone, but is it worth the investment for its target audience? The Micro Studio Camera is really small – that is its benefit as well as disadvantage. It’s a benefit because it eliminates the need for a lot of big, bulky equipment. 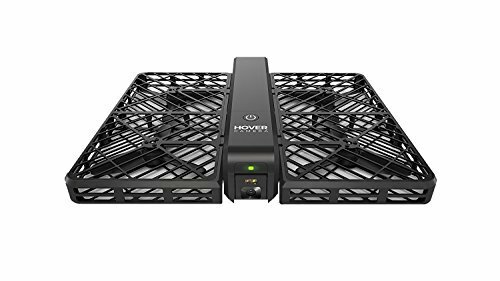 On the other hand, the small size is a drawback because it requires a separate monitor to be purchased (more stable studios won’t have this trouble but other users might). 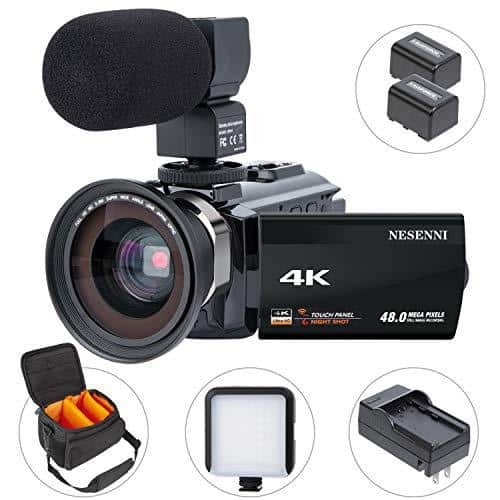 Equipped with an MFT lens mount, different compatible lenses can be used with the camera, depending on what’s required by a particular program. 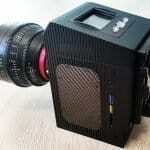 Also, the camera is able to support a B4 adapter which allows it to use traditional broadcast lenses. The SDI program input of the Micro Studio Camera can accept commands from any ATEM switcher. In short, camera settings such as black level, gamma, iris and zoom control, lens focus, and color balancing can be controlled remotely. 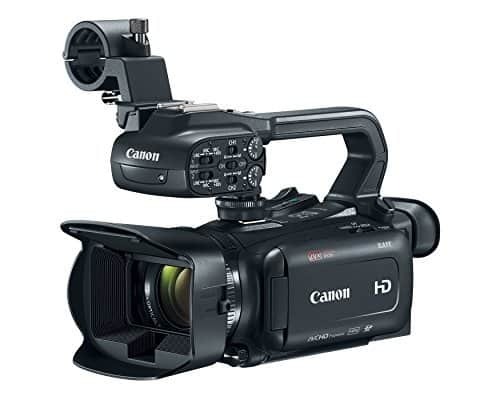 The expansion port of the camera features PTZ and lens control outputs which allows heads and broadcast lenses to be remotely controlled from the SDI connection. The expansion port features a DB-HD15 connector which allows users to make their own cables or use the one that comes with the cameras. The Micro Studio Camera’s cable features a DB-HD15 connector on one end and a series of other connectors on the other. This is a feature not every user will delight in but it does have support connectors for power and LANC, among others. 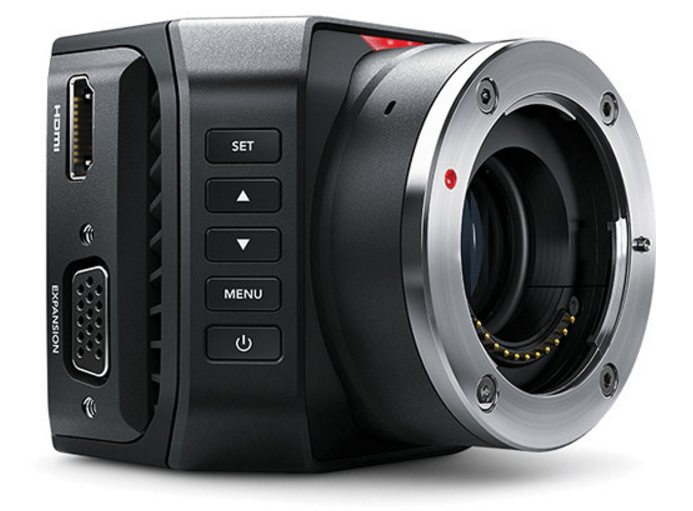 The Micro Studio Camera is capable of recording Ultra HD at 30fps and HD at 60fps. However, recording in the latter requires the use of a memory card. Sound quality with the Micro Studio Camera is excellent thanks to built-in stereo microphones designed to minimize unwanted noise. The camera also supports the plugging in of an external microphone which comes in handy in extremely windy outdoor conditions. 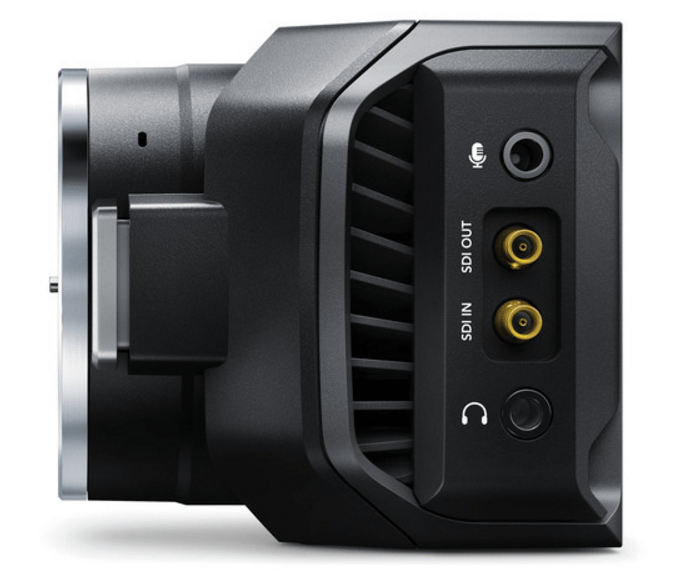 The Micro Studio Camera also comes with an iPhone-style headphone socket which can be used for full talkback support. Standard noise-cancelling headsets can be attached to the socket to better hear the director without being distracted by the environment or the audience. With the Micro Studio Camera’s expansion port, users can customize the camera to suit their needs. They can use different lenses to achieve a particular shot or accessories can be added to the camera to suit it for a particular shoot. It is really small. The Micro Studio Camera is roughly the size of a tennis ball. A camera of this size can be placed just about anywhere, even overhead for shooting sporting events. 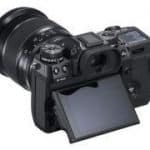 However, the small size can also be a drawback as a monitor is needed to check on shots and alter settings – this doesn’t make for the most convenient experience when shooting outdoors. It can use different lenses. The Micro Studio Camera is not at the mercy of a single fixed lens and that’s quite the advantage. 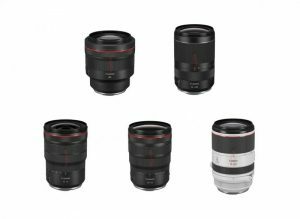 Users can choose from a range of third-party lenses from Panasonic, Olympus, and others to be more creative with their shots. It can be customized. Thanks the ports available on the camera, users can attach different accessories to build a rig that is meant for a certain kind of shoot. 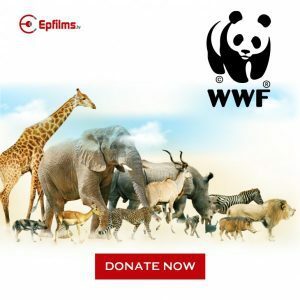 For instance, an external recorder can be attached to the camera to produce a different kind of video experience. It requires a memory card to shoot in 60fps. The image quality when shooting UHD or HD is impressive. However, a memory card is needed to shoot HD at 60fps. It doesn’t have a screen. Users would need an external monitor attached to the camera in order to see the scene as well as to adjust and control settings. It has a cable with multiple connectors. This isn’t a particular favorite but it is necessary to have it in order to keep the camera’s size small. 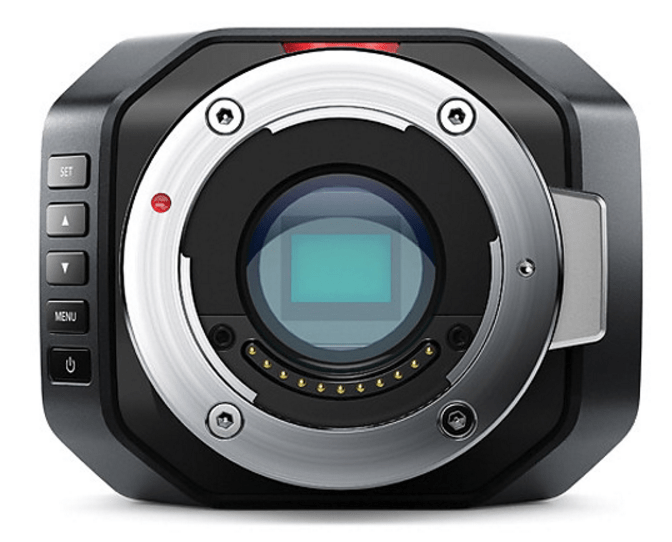 The Micro Studio Camera 4K from Blackmagic is made for studio environments. However, this shouldn’t stop users from wanting to use it to film in an outdoor setting (a sporting event, for example). The size of the camera is definitely a plus as are its video-taking capabilities. While it may not be the perfect camera for all users, it does offer studios a chance to be more creative with their shots.